Sustainability is: Meeting the needs of the present without compromising the ability of future generations to meet their own needs. The Illinois Climate Action Plan (iCAP) outlines a path for the University of Illinois at Urbana-Champaign to achieve carbon neutrality as soon as possible, and no later than 2050. The campus committed to this ambitious goal when in 2008 it signed the American College and University Presidents' Climate Commitment (ACUPCC) — later to be renamed the Second Nature Carbon Commitment for its emphasis on emissions. In 2016, Illinois took on an even greater leadership role when Interim Chancellor Barbara Wilson signed its sister pledge, the Second Nature Resilience Commitment, which charges campus to examine the vulnerabilities of its landscapes and infrastructure in the face of an already changed climate. Together, these two commitments form Second Nature’s comprehensive Climate Commitment. As a charter signatory of the Climate Commitment, Illinois continues its dedication to being on the forefront of sustainable future planning. This site is a repository for summary information about each iCAP project, both to share the information publicly and to assist in collecting information for reporting purposes. These projects are organized into ten themes: Education, Energy, Funding, Land & Space, Outreach, Procurement & Waste, Reporting Progress, Research, Transportation, and Water. The Objectives page is a dashboard of 2015 iCAP metrics. Each Project page provides details and background information. The Map page can be filtered by associated theme. If you would like to recommend a new project or are aware of an existing project that is not listed on this site, please use the “Suggestions” tab to let us know. 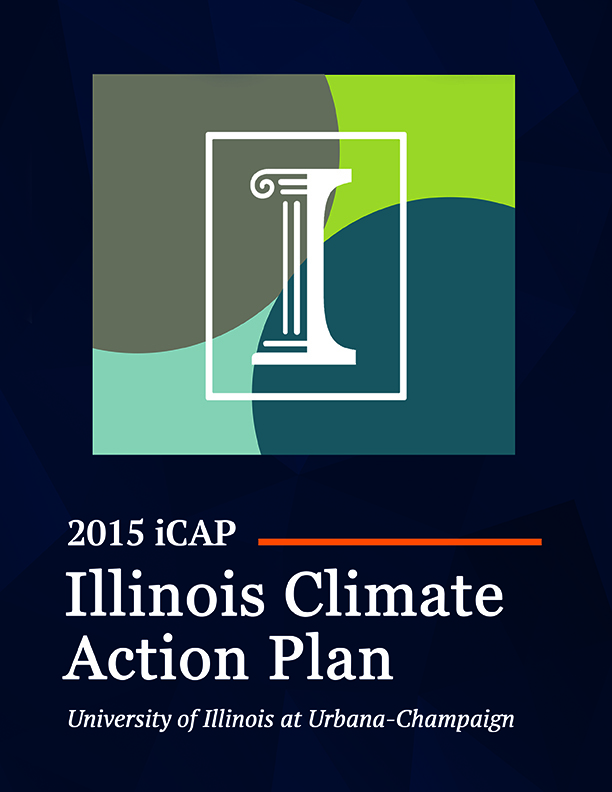 Read the approved 2015 Illinois Climate Action Plan. All, Apologies for the delay. I was out of town Monday and Tuesday. All, Last week we had the pleasure of welcoming Good Morning Illini to the Bike Center. I shot a segment with one of their people on patching a tube. Unfortunately, it didn’t make the air. RailSplitter Wind Farm provided the March 2019 Buyer's Share amounts by hour, totaling 2599 Megawatt hours. See the attached file.